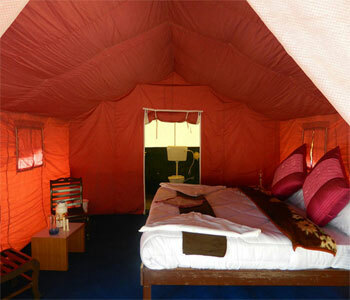 We have 15 deluxe well furnished swiss tents with attached bathroom running hot and cold water. 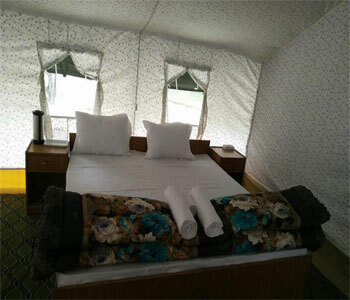 All the tents have private varandha set in beautiful garden. 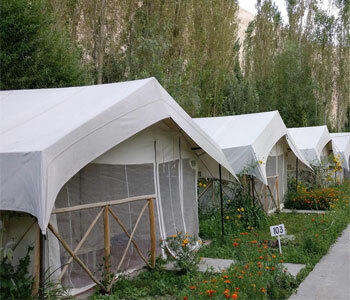 The camp is set in the mesmerizing village of Hunder, like an Oasis in the middle of cold desert in Nubra Valley situated in the north of Leh between the Karakoram and Ladakh ranges of Himalayas. 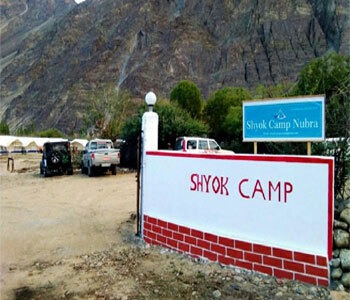 Nubra likes at average altitude about 10,000 feet above the sea level. Hunder is approximately 160 km from Leh; it takes hardly 5-6 hrs drive to get there. The road to Nubra runs across Khardong-La (5,578 m) highest motorable road in the world. Nubra has acquired fame for its Sand dunes, the cold desert that surround it. Bactrian Camels and its breath-taking natural beauty. The high altitude desert with rolling expanse of Sand Dunes and Barren landscape. The Cold Desert and Sand Dunes seem enigma to scores of tourists who come to visit the spectale. Bactrian camels are another attraction. 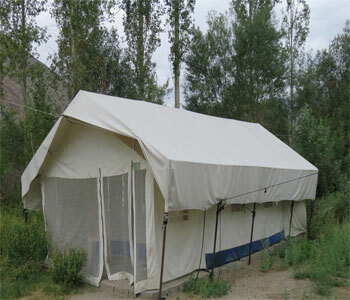 Joyrides on the Bactrian camel through the Sand Dunes is a must do for the tourists who visit Nubra. Its a world of wondrous beauty and magical charm Bestowed upon mankind by Nature. .. a land of sheer loneliness, apparently untouched by time. Once you come, its picturesque memories would haunt you for the rest of your life. And you would want to come again and again!!!! !